After two weeks off from our #TuesdayTeachings posts, we're back with our Little Lunch Lessons series. This week, I just did a simple play on colors. Gold to be exact. 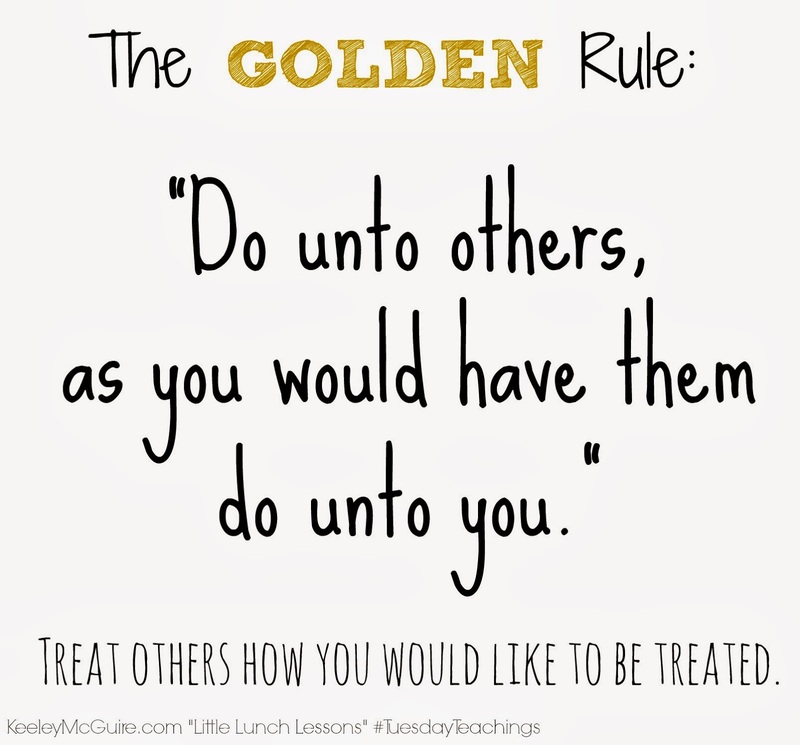 The Golden Rule: "Do unto others, as you would have them do unto you." 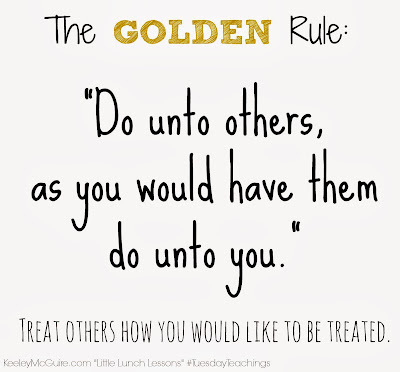 In other words, treat others how you would like to be treated. Lunch is packed with foods that are all golden in color. In a silicone jumbo cupcake liner, Little Miss has Annie's Gluten Free Rice Mac & Cheese. By packing it in the silicone cup, she'll be able to place it in the microwave to reheat, if she so chooses while at school. She also has packed golden sunburst tomatoes, golden raisins in a Mini Dipper lidded container, pear slices, and organic corn. 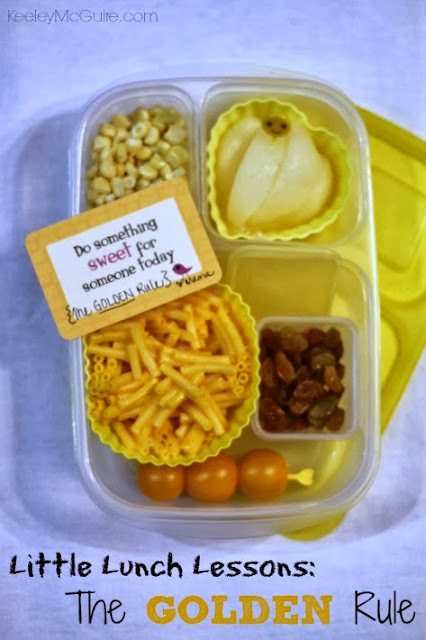 I finished off her lunch with a sweet Lunchbox Love Note that says "Do something sweet for someone today", keeping in line with our lunch lesson. 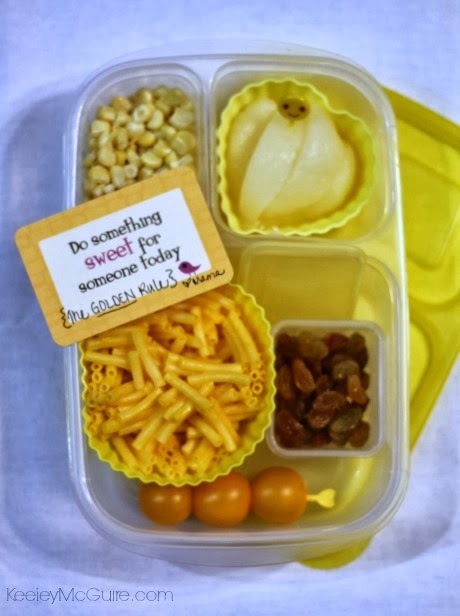 Keeley, Love how you are using Lunchbox Love here! It's awesome.